Nearly two years after the EEOC issued an Enforcement Guidance on employers' use of criminal records, has your human resources department established policies that comply with this guidance? Ignoring the guidance could potentially place your organization at risk for litigation. Download our complimentary white paper and help mitigate risk for your organization. An overview of the EEOC's Enforcement Guidance. 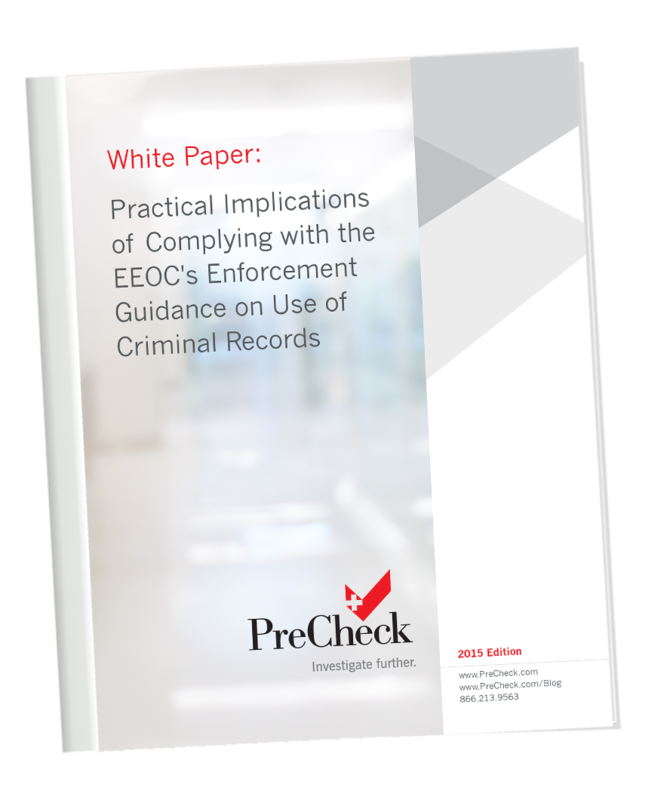 Learn the basics about the EEOC's Enforcement Guidance on employer's use of arrest and conviction records issued on April 25, 2012. Potential challenges and points of consideration. Find out what questions to ask as you work with counsel to review and potentially modify your current screening program to achieve compliance. Special duties of healthcare employers. As a healthcare employer, you make critical hiring decisions that could impact the safety of patients and staff. Learn more about your unique responsibilities. Learn what it means to conduct an individualized assessment and what it means for human resources departments.